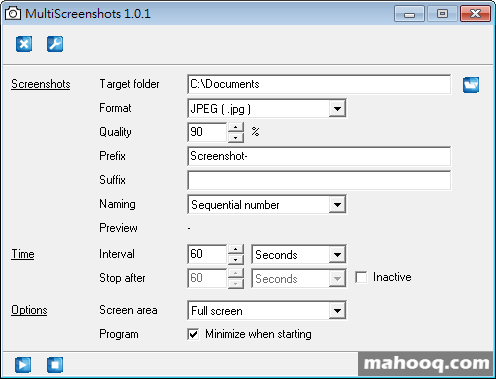 MultiScreenshots is a Windows program to take multiple screenshots automatically. A time interval can be set, as low as 10 seconds as well as a duration to automatically stop the capturing process. The whole screen can be captured or only a part of the visible screen.